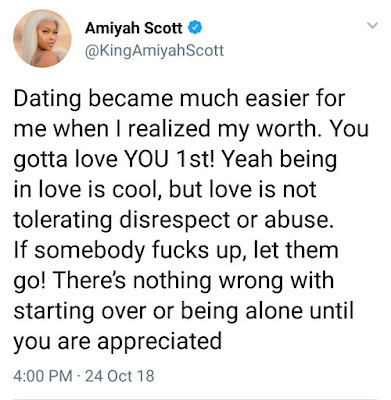 Amiyah Scott, a transwoman who was born Arthur Scott, has shared some words of wisdom regarding dating. 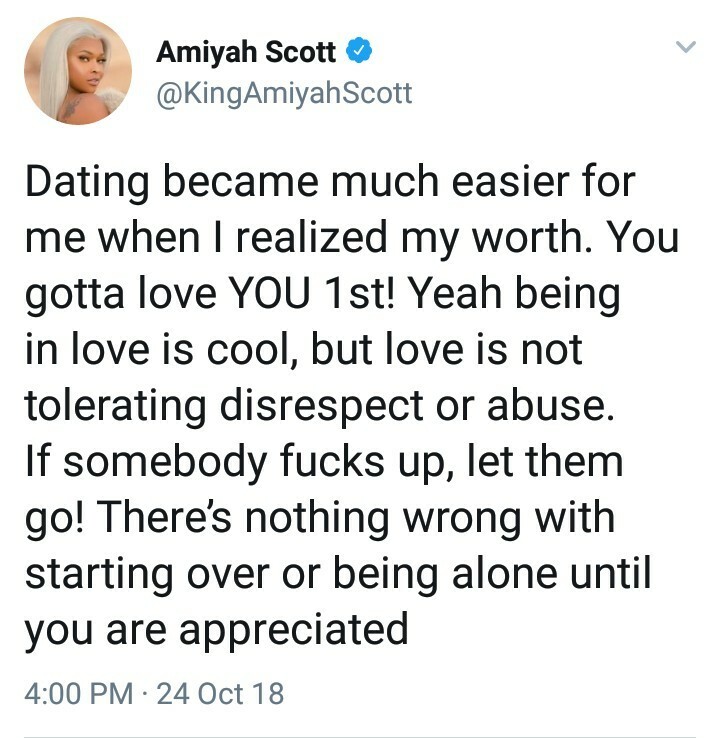 Dating became much easier for me when I realized my worth. You gotta love YOU 1st! Yeah being in love is cool, but love is not tolerating disrespect or abuse. If somebody fucks up, let them go! There’s nothing wrong with starting over or being alone until you are appreciated.